The Future of Service is Predictive and Equipment-Centric. Are You Ready? Growing up, the saying “never stop learning” always inspired me. Fast forward to today, it still holds true. During the last two weeks, I had the pleasure to watch and learn at Maximize. Maximize is the annual signature ServiceMax event devoted to all things field service. The conference encourages customers, prospects, partners, industry experts, and ServiceMax enthusiasts to come together to network, party, and most importantly, learn about the industry trends and how they can impact business. In this blog, I’d like to share my Maximize takeaways with you. 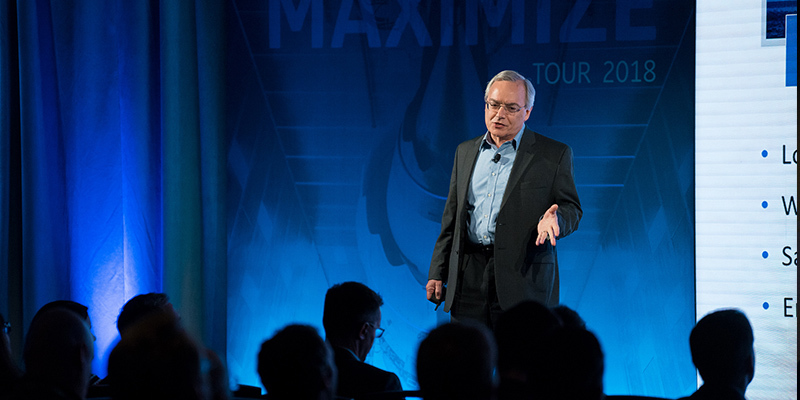 First off, this year’s North America Maximize Tour doubled the impact when compared to last year’s event. We had two locations (Las Vegas and Boston) and two product lines (Predix ServiceMax and Predix Asset Performance Management (Predix APM)). Looking back, the themes of equipment centricity and predictive maintenance rang true throughout both the conference locations. 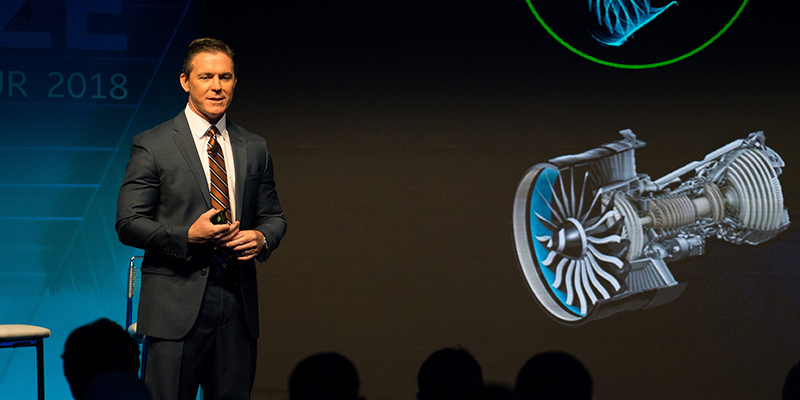 One thing was clear: As equipment is becoming more complex and customers more demanding, service needs to deliver uninterrupted uptime and a great customer experience. Scott Berg, CEO of ServiceMax, added more flavor to the conversation when he said that actually, less service is more for customers. I wouldn’t blame you if you did a double take on reading this, but when you really think about it, customers just want the optimal level of service for their critical equipment. They neither want to overdo it or underdo it. If additional service isn’t going to add to the productive life of the equipment, or if continuing production now is worth more than shutting down to provide maintenance, then running an asset to the ground can very well be the right thing to do. However, to determine the right proactive maintenance strategy, it’s important to have the insights out of terabytes of equipment data. I’d like to share a telling statistic here from a Deloitte study: Up to 20% of productivity is lost due to poor maintenance strategies. Let this be a clarion call to all service organizations for making service more predictive. Ralph Rio, from the ARC Advisory Group, brought the conversation home by highlighting how IIoT can be leveraged for turning service into a P&L center. Quite shockingly, while the cost of downtime is tremendous in the industry today, the level of predictive maintenance implementation is pathetically low. An IIoT implementation can change that equation quite significantly for service organizations: Instead of fielding angry customer calls, service organizations can graduate to proactively advising their customers that their equipment is going to fail and fixing issues before they occur and can thus be assured of repeat sales. In other words, by implementing predictive maintenance, service organizations can pivot from a cost center to a P&L center, which has the added advantage of gaining the confidence of the C-suite. Ralph Rio’s sage advice to service organizations: Change the game by focusing on growing revenue with predictive maintenance and IIoT. Citing transformative results for an elevator manufacturer, he mentioned that an IIoT implementation improved the company’s first-time fix (FTF) rate from 65% to more than 90%! 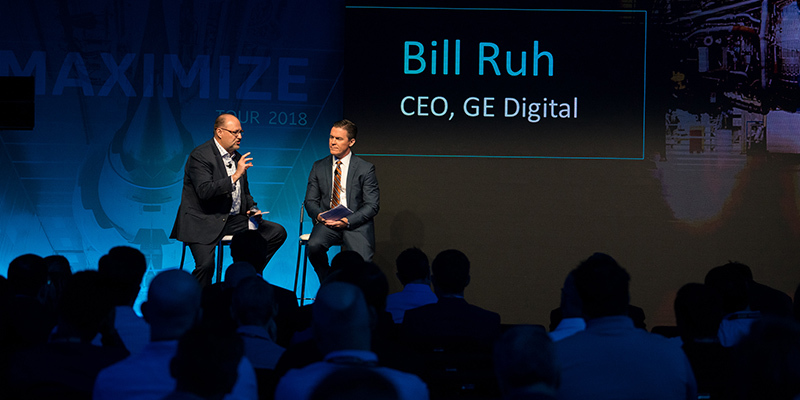 In alignment with these great learnings, I think the combination of GE Digital’s flagship products — Predix ServiceMax and Predix APM — couldn’t have been more opportune for realizing the promise of uninterrupted uptime and customer experience. On top of your IIoT, an asset performance management solution delivers targeted strategies for your equipment, such as performance, maintenance criticality, timing, suggested service, and more. Then, Predix ServiceMax provides an action layer driven by these deep analytics to deliver the right maintenance program at the right time. Service data is then incorporated back into Predix APM for better future service predictions. With our Maximize U.S. tour under our belt, please be on the lookout for opportunities to connect and learn at our Maximize Tokyo and Maximize Europe tour. I sincerely hope that you can join us there to be part of the service transformation journey. Gaurav Verma is a Senior Product Marketing Manager at ServiceMax from GE Digital, where he is focused on evangelizing Schedule Optimization and Mobile Enablement spaces of ServiceMax to field service management audiences. Gaurav enjoys playing the harmonium, a classical musical instrument (origins: France), and has a growing Youtube channel for music enthusiasts.